We Raised £1694.50 for Willen Hospice at our Silent Auction Exhibition! 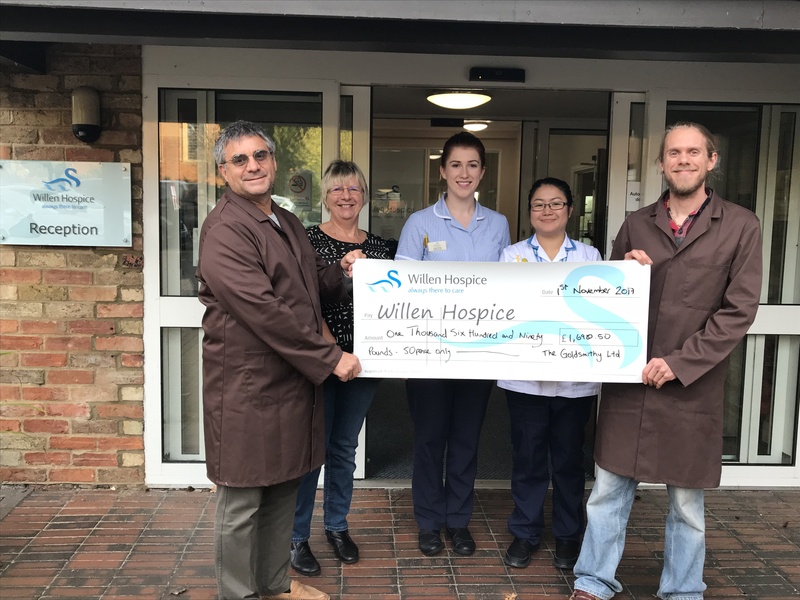 We raised over £1,694.50 for Willen Hospice at our Silent Auction and Demonstration evening held last week. We put on an evening to showcase a selection of bespoke, handmade pieces and swan inspired silver jewellery to raise money for Willen Hospice. Glenn Chapman, who was trained by Cartier London in 1972 and son, Paul Chapman, demonstrated the jewellery making process and invited members of the audience to take part. Guests took part in a silent auction where they bid to win specially created limited edition pieces – which included a coin to commemorate MK50. Mayor David Hopkins took part in the making of the one-off coin which raised £750, contributing to the total amounts donated to the Hospice. The coin represented some of Milton Keynes’ iconic features, including the Point, the Peace Pagoda and the concrete cows. The Goldsmithy ltd is a family run traditional goldsmiths based in the tranquil village of Stony Stratford. The father and son Goldsmiths, create bespoke handmade jewellery and watches using traditional methods.